Casey Ballard, with United Way of West Ellis County, gave us a peak into what United Way is and the impact they bring to not only Waxahachie, but the rest of Ellis County. Casey is a graduate of Texas A&M and has served in a number for facets in the business world before serving as the Executive Director of the United Way of West Ellis County. The United Way serves as the center spoke of the wheel being able to coordinate volunteer efforts and man power, delegate funds to non-profits working in Ellis County communities, promote education for financial stability, among others. Looking at the Lions Club's mission of "We Serve", that sometimes means writing a check to those that need it. 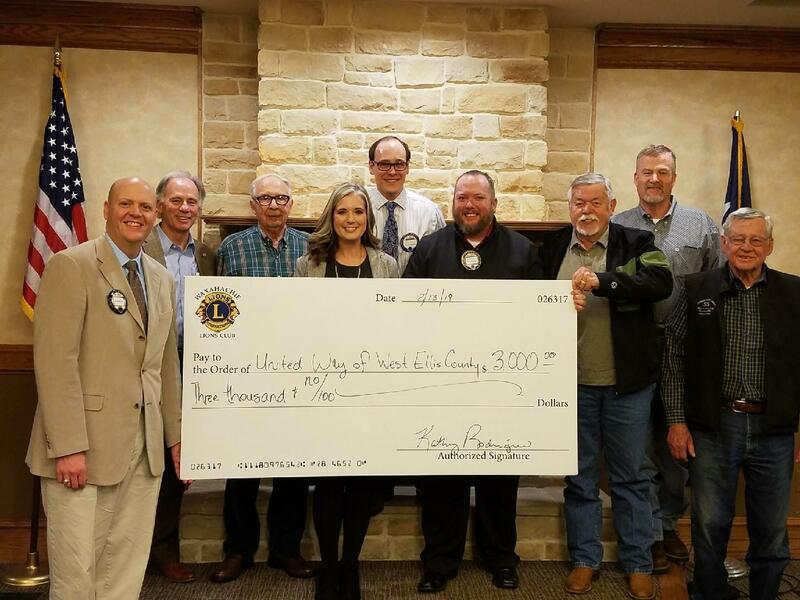 The Waxahachie Lions Club could think of no better organization to donate to than the United Way and Casey Ballard's Team as we're confident that those funds will be allocated to those with the most need. The Lions Club of Waxahachie urges you to check out their website at www.uwwec.org to learn more about this great organization and how you can help be a part of the United Way of West Ellis County.